The hunt for a job should begin before you graduate from college. During your senior year of college, you should take advantage of the resources your university offers to help you. Your initial job search may take a few months, and you should follow this survival guide to create a budget and plan to meet your basic expenses until you find your new job. A serious college relationship may affect where you look for a job, and you should take that into consideration as you plan. If you work hard, you may have to choose between job offers. Most universities offer at least one job fair for graduating students each year. Businesses come in to recruit students to jobs. When you go to the job fair, dress professionally and treat your contacts like it is an initial interview. You should have a resume and a possible portfolio ready to give the people you contact at the job fair. This is your first contact with the company and you should make the best impression possible. Once you are ready to hunt for a job, it is time to be professional. This should affect nearly every area of your life. For interviews, you need to dress professionally and be clean cut and well groomed. This will give your interviewer the impression you are taking the position seriously. Be on time for any appointments you have and be courteous in any email or phone conversations you have. Even if you are not initially offered the job your behavior may reflect on whether or not you are considered for another position at the company. Take the time now to clean up your social networking sites since future employers do check these sites. You should also make sure your credit report is not stopping you from getting a job offer. For many jobs, you need to have a portfolio to take with you, or to send to possible jobs. For example, as a teacher, you may have sample lesson plans or units you created while in college to show your future principal. If you are applying for positions as a writer, you will need sample pieces to submit. The same thing is applicable to nearly every profession. The portfolio may include work you did while you were in college. It may be appropriate to create a website to display your portfolio, as well. Internships can benefit you by providing both experience and contacts in the field. If you already have experience working at a company as an intern, you may have a better chance of getting a job there after you graduate. Often internships turn into jobs. Additionally, the experience you gain in the workplace can benefit you. Some internships are paid, while others are not. Some careers have nearly every candidate start out as an intern. If you know this is a requirement for your chosen profession, you will need to plan a way to survive as an intern in the city you want to work in. This may require extra money from your parents, taking a second job while you intern, or saving money from your student loans your senior year to cover the time you work as an intern. When you graduate it is important to look everywhere for a job. Instead of doing a local search, consider looking in a bigger market. 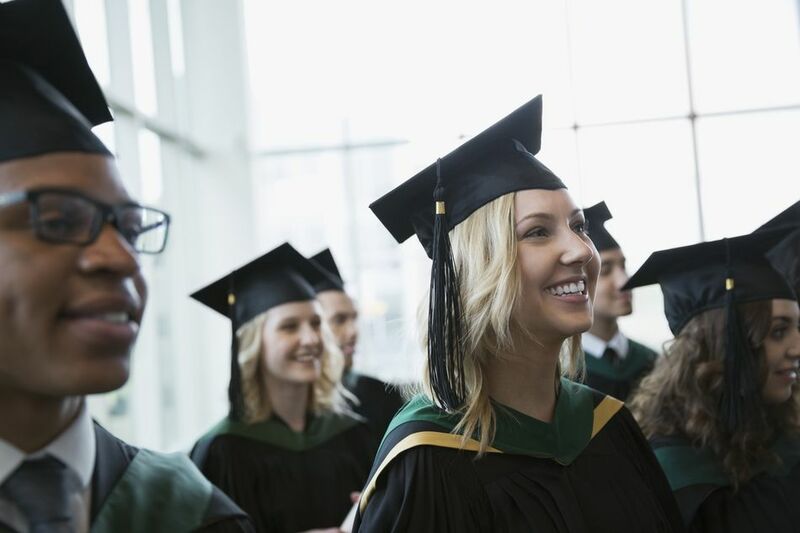 Graduation is a great time to try out a new area or to move to a big city. If you are in a serious relationship, you may be at a crossroads as you decide whether or not to look together or to take jobs in different parts of the country. The perfect job for you may not be in the place you thought it would be. Take advantage of any connections you may have in your field to find jobs. In the meantime make sure you have a plan to survive the time between graduation and landing your first job. Once you land your job you will need to take the five steps to help you reach your financial goals.